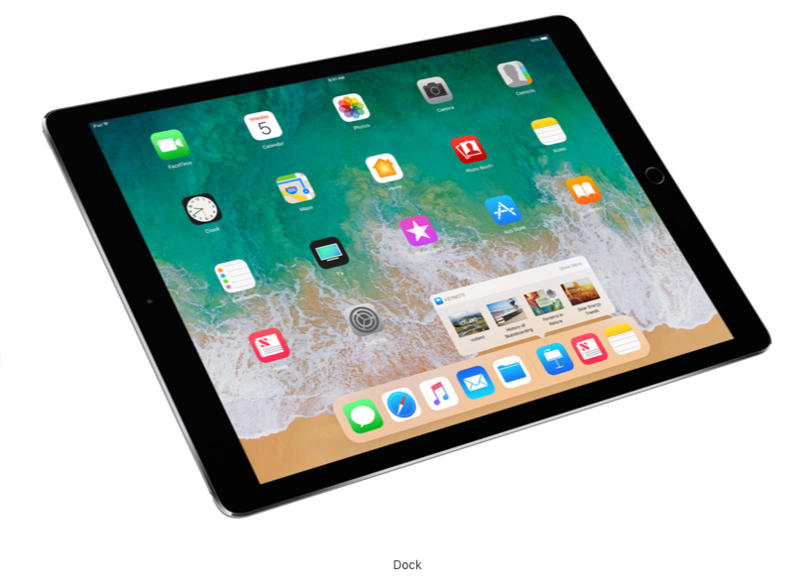 With Apple’s new iOS 11, the company not only introduced a brand-new mobile OS for iPhones but also completely revamped the experience for iPads as well. 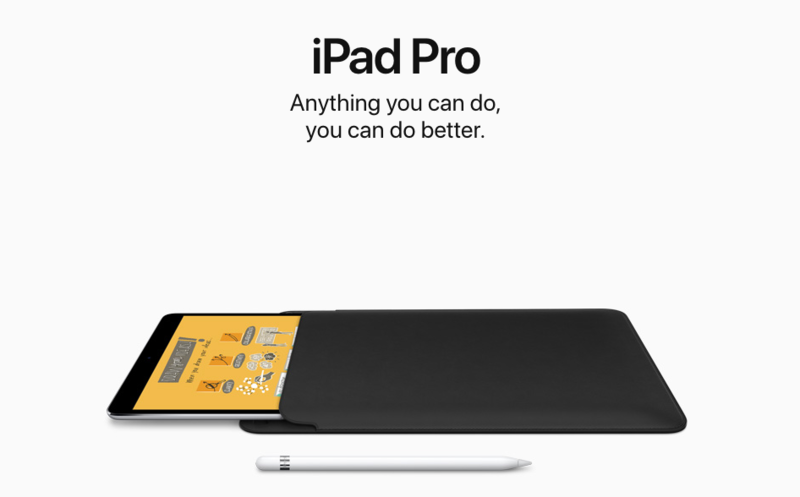 The update for the iPad, which contains an abundance of upgrades that focus on productivity, makes the tablet device feel more like a Mac. The first feature that stands out is the way you can hide and reveal the expandable dock, much like you can with the dock on macOS. 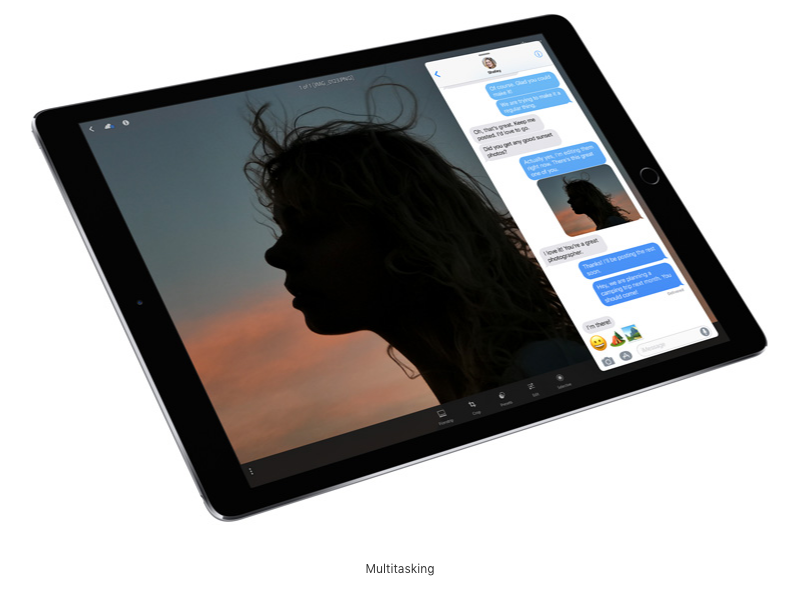 With Apple’s new iOS 11, the company not only introduced a brand-new mobile OS for iPhones but also completely revamped the experience for iPads as well. 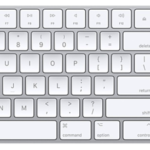 The dock hides much like it does for fullscreen Mac apps, but instead of moving your mouse cursor down, you just swipe up to reveal the dock again. You can also pull an app from the dock directly into the screen to have it appear in a slide-over split-screen windowed view, which is definitely useful when multitasking. Another handy feature is a new app switcher, which lets you not only swap out apps more quickly and easily by dragging and dropping but also lets you see previews of each app. This feature is very reminiscent of Mission Control on the Mac. 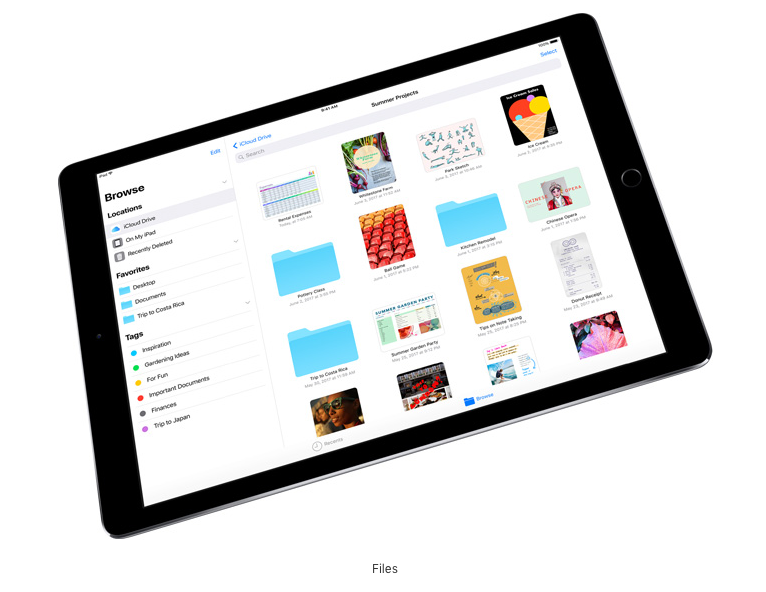 Apple also unveiled a new Files app for iOS, which is a Finder-like file explorer for your iPad and iPhone. The app supports nested folders and tags, in addition to third-party storage folders from Dropbox, Google Drive, and much more. In addition, Apple has added drag and drop functionality. This can be used in many ways, but one example would be dragging and dropping a URL from Safari into Mail. Included in iOS 11 is more functionality for the Apple Pencil. For example, when you screenshot something, that image will appear in a little thumbnail on the bottom left. 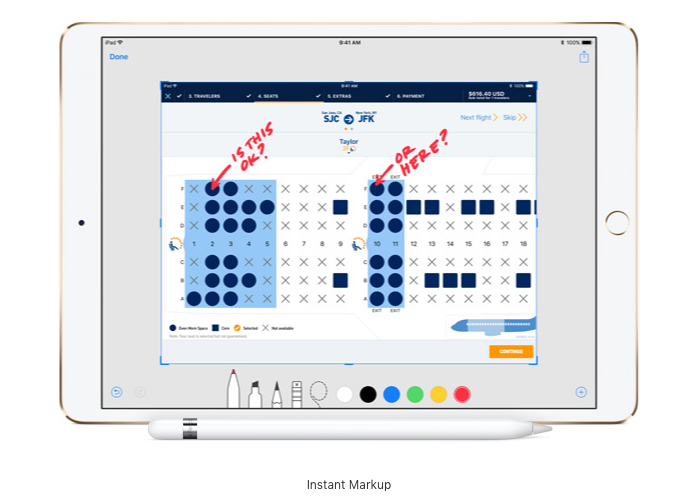 Tap it and it’ll zoom open, letting you instantly mark it up with Pencil. 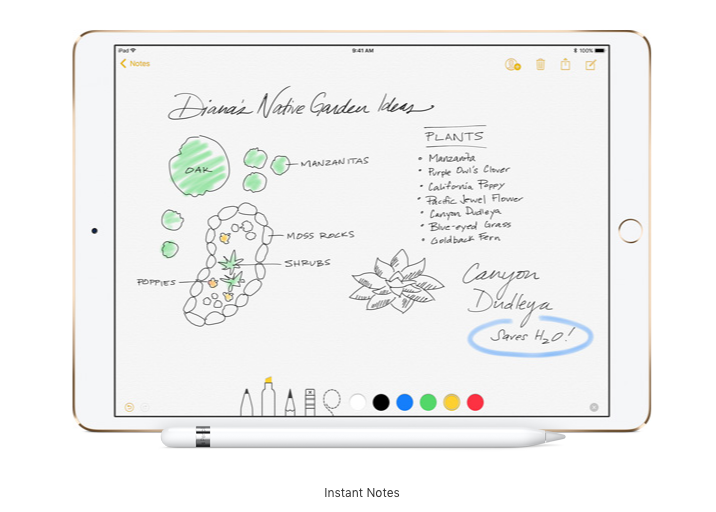 Another cool feature for iPad users is something called Instant Notes. You can now open Notes directly from the Lock Screen by tapping the Apple Pencil on the display. Thanks to various deep learning techniques, all of your handwritten notes are now text searchable. You can now also insert inline drawings right inside your regular typed documents. Notes also now has a built-in document scanner. Simply take a picture of the document with your camera and you can start marking it up right away with Pencil.